Feeding even 20% homemade food versus commercial pet food is an excellent step in helping promote optimum health in your dog or cat. If you are ready to prepare your pet’s food on a regular basis and want to save money on homemade dog food, try implementing some of these tips. Just as buying your own food in large quantities saves you money, the same concept applies to purchasing food for your dog or cat. Consider investing in an inexpensive extra freezer so that you can stock up on meats when they are on sale. Stocking up on in-season foods and freezing for later use is a great way to save money and provide a high dose of nutrition to your pet’s diet. Just like buying in season can save you money, buying locally can do the same. Purchasing your meats, eggs and vegetables from local purveyors is not only typically less expensive, but you will also be supporting local farmers. Pooling your purchasing power with other like-minded consumers is a great way to save on fresh food. If you can’t find such a club in your area, consider starting one. Many stores have bulk sections with loose items that you can buy at a less expensive price than if they were pre-packaged. Making your own stock is not only healthier; it can save you money. Your dog or cat can enjoy the meat and then enjoy the stock once cooked. 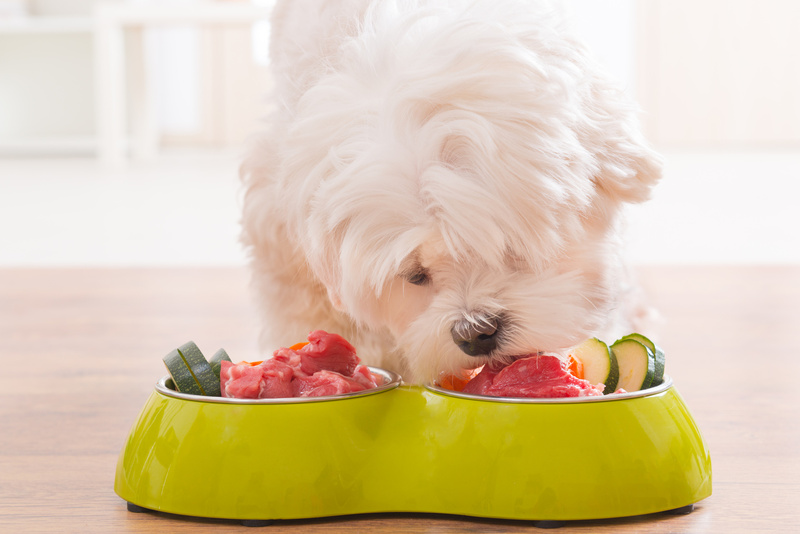 If you are making dinner for your family and there are leftover pet-safe items such as unseasoned green beans, broccoli, Brussels sprouts or lean meat, you can save them and add them to your pet’s meal the following day. Just be sure that the leftover food is free of any ingredients that can cause toxicity or gastric upset. Good information. Thank you. My dogs love sweet potatoes and peppers.